The Philadelphia Baseball Review released its Division-II College Player of the Week awards on Monday for the period ending March 24. 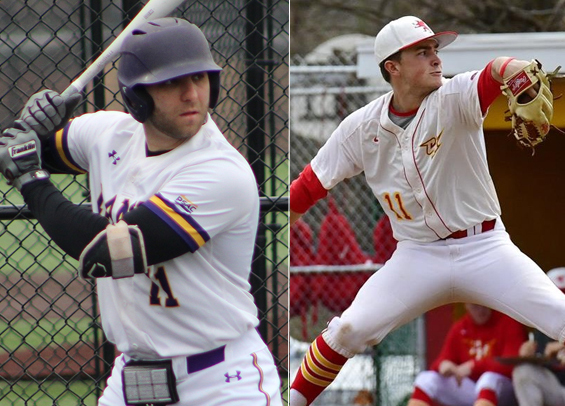 West Chester senior outfielder Joe Zirolli was named the Philadelphia Baseball Review's D-II Hitter of the Week, while Chestnut Hill sophomore right-hander Billy Bethel has been named the Philadelphia Baseball Review's D-II Pitcher of the Week. Zirolli went 3-for-6 in a doubleheader on Sunday for West Chester, homering twice while driving in four runs to help the Rams to a pair of victories. He's hitting .316 on the season with three homers and 14 RBIs. As for Bethel, he tossed eight solid innings in a win over Felician on Wednesday. He surrendered one run on nine hits and struck out seven. Over 22 innings this season he's posted a 2.45 ERA.